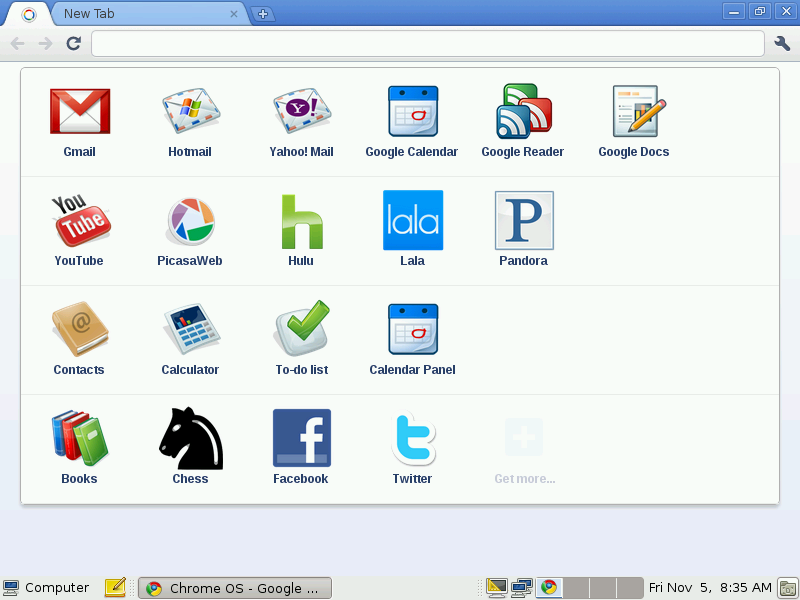 Chrome OS is a lightweight Linux distribution build around the Google Chrome Browser, it is not related to Google Chrome OS. I suppose they may have to change the name sometimes in the future. To install it, simply download Chrome OS Live CD to try it out on your hardware. Bear in mind this is a Release Candidate version (Chrome OS 0.9.576 RC released on 7th of December 2010) at this time so it should be relatively stable, but expect a few bugs. It can be installed on CD or USB drive by making a bootable USB from the iso file using UNetbootin. Since this is using Google Chrome Browser, you’ll also be able to take advantage of Chrome Web Store.